Genetic testing can help you discover what inherited health risks you may have based on your genes. You will learn about your unique risks and how epigenetics, including diet, lifestyle and specific nutritional supplements, can be a complementary support tool against health conditions for which you may be genetically susceptible. 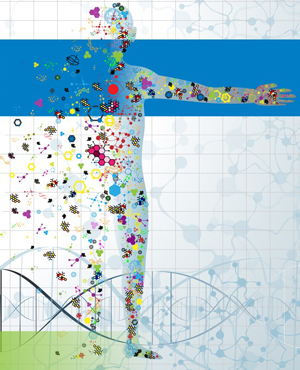 Medical genetics is a vastly growing area of healthcare. We are seeing increased popularity as more people are searching for individualized treatment plans based on their medical history and genetic profile. This is the premise of personalized medicine. The presence of genetic variants, either homozygous or heterozygous, can increase your risk of certain health conditions or can affect how the systems of your body function. We offer genetic testing through Rocky Mountain Analytical’s Neutrigenomix. This saliva sample assesses 45 genetics snips for personalized nutritional counselling. These genes effect our metabolism, food intolerances, eating habits, nutrient metabolism including MTHFR, physical performance and injury risk. Another service we offer is using your 23andMe® raw data to run an analysis of your DNA through Pure Genomics software program. This will create a report which will help determine your risk of certain conditions such as allergies, tolerance to caffeine, ability to utilize nutrients, methylation status, susceptibility to inflammation, ability to detoxify toxins, how well you absorb iron, how you deal with stress and the type of exercise your body best responds to. 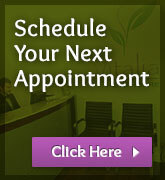 Your Naturopathic Doctor will analyze your report, along with other lab results you have, and your medical history. From here they will develop a nutritional supplement protocol to address your current health condition or for prevention. Vitalia Health Care is not affiliated with 23andMe®, Inc.
*MethylGenetic Nutrition AnalysisTM is the proprietary software program created by Robert Miller, CTN. The information generated by this software is not intended to diagnose, cure, mitigate, treat or prevent any disease. We teach how to use nutrition to support function, which is the permitted use of nutritional therapies.